Stampin' Up! is releasing their 2010-2011 Idea Book & Catalog on July 1. I will have an open house on Friday, July 2, 2010 from 10:00AM - 7:00 PM. You can come by any time between these times. I will have new papers and product to show you. You will have the opportunity to pick up your FREE catalog if you are in my hostess clubs or purchase a catalog for $10.00 or get one for FREE when you book a party with me. There will be a make and take and light refreshments. Everyone that RSVP's and attends will receive a FREE Gift. You will also have an opportunity to sign up for a ribbon share that I am doing. More information at the open house. You will also have the opportunity to purchase my retired stamp sets and retired accessories at a discounted price!! 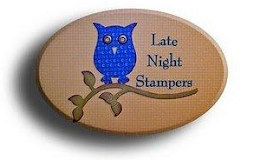 I will also have a box of stamp sets where you will be able to choose one FREE stamp set with every $50.00 order from our new catalog. This is on a First come First Serve basis. RSVP to me at jnrsjones@cox.net by June 30, 2010 so I am sure to have enough projects prepared for this event and FREE gifts.